A sprawling romance set amidst Pittsburgh's steel industry, The Valley Of Decision is epic in scale and ambition, and well-served by a committed Greer Garson performance. It's the late 1800s in Pittsburgh, and Mary Rafferty (Greer Garson) is hired as a housemaid by the Scott family, owners of a major steel mill. William Scott (Donald Crisp) is the head of the family, his wife Clarissa (Gladys Cooper) runs a lavish household, while their son Paul (Gregory Peck) is passionate about the business. Paul's sister Constance (Marsha Hunt) is spoiled, impulsive, and looking to marry a rich man of her own. Mary's father Pat (Lionel Barrymore) has an uncontrollable hatred for the Scotts, whom he blames for the industrial accident that left him in a wheelchair. Nevertheless, Mary quickly earns the respect of the family with her committed and no-nonsense attitude. Mary and Paul share an immediate attraction, and although they do fall in love, the gulf in class between the wealthy scion and the lowly maid means that any serious relationship is likely doomed, particularly with Paul seemingly destined to marry his childhood sweetheart Louise (Jessica Tandy). Mary also gains the deep trust and gratitude of Clarissa, and becomes a close friend to Constance. Over the years and in the constant shadow of the smoke stacks, the family goes through many struggles, including challenges with introducing technological innovations, Constance's sudden marriage to an Englishman, and a dispute between workers and management that turns violent. Paul's love for Mary endures, but finding happiness together proves elusive. An adaptation of the Marcia Davenport novel, The Valley Of Decision is a grand love story with a rich cast of characters, an impressive backdrop of industry, an undercurrent of class struggles, and an absorbing breadth of events. Under the guidance of director Tay Garnett's steady hand, the two hours of running time fly by, as the well-rounded characters prove to be engaging and relatable. With so much going on the film invariably suffers from a few moments that fall flat, and some of the emotions are either truncated or simplistic. But whenever events threaten to overwhelm The Valley Of Decision, the depth of the characters and the bonds that form between them prove to be unshakeable foundations. Mary shares meaningful and separate connections with Paul, Clarissa and Constance, giving the film three anchors to build around. And even the supporting characters add plenty of substance, the old warriors William Scott and Pat Rafferty carrying the burdens of generations past, while plant foreman Jim Brennan (Preston Foster) and Paul's brothers William Jr. (Dan Duryea) and Ted (Marshall Thompson) play key roles in the family's destiny. Despite the human focus, The Valley Of Decision does not lose sight of the business and social contexts. The script by John Meehan and Sonya Levien invests an impressive amount of time on manufacturing and labour issues at the steel mill, Paul a hands-on future owner keen to move with the times. The Scotts are presented as determined but potentially sympathetic, as Paul pushes his father towards offering better working conditions for the striking workers. Not all goes according to plan, and the family suffers its share of losses and disappointments. 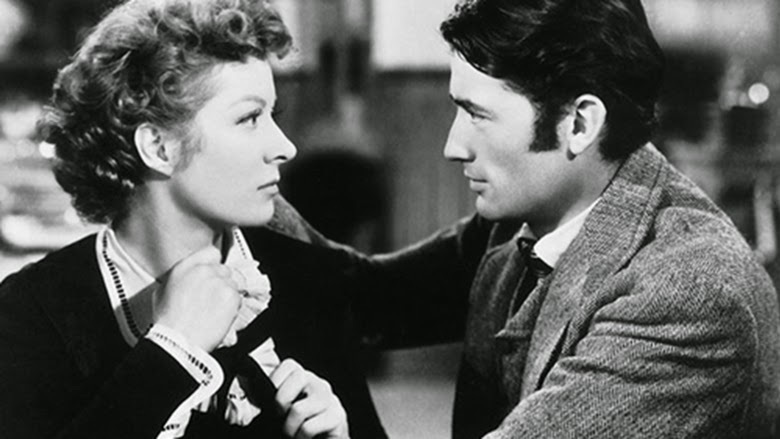 Greer Garson positively shines as Mary Rafferty, bringing to the role confidence, determination, and courage. Garson is able to convey love coupled with wisdom, and the unique empathetic traits that would allow a housekeeper to gain the trust and admiration of the family she serves. Gregory Peck establishes his strong screen persona as Paul, a good man not afraid of setting an example by breaking down barriers and building meaningful relationships with the less fortunate. With Lionel Barrymore as the caustic Pat helping himself to large bites of the scenery to chew on, it is left to Marsha Hunt to deliver the other stand-out performance as Constance. She evolves from entitled and rich to entitled and struggling, while forming a genuinely warm bond with Mary, a deep friendship that would unexpectedly prove to be vital for the Scotts' future. The business may be steel and smoke, but ultimately, it is people who determine the destiny of any venture.